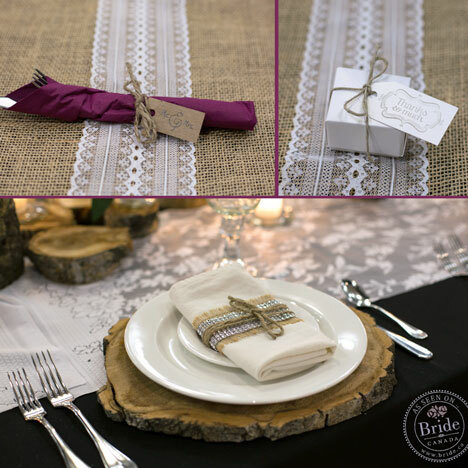 bride.ca | Fall Wedding Fun; A DIY Couple with Rustic Flair! 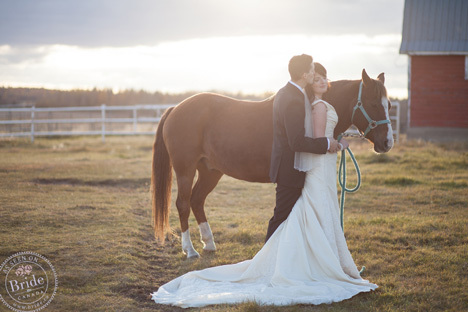 What happens when a creative "do-it-yourself" bride and her beau visit a farm and its barn on an Alberta Fall day? 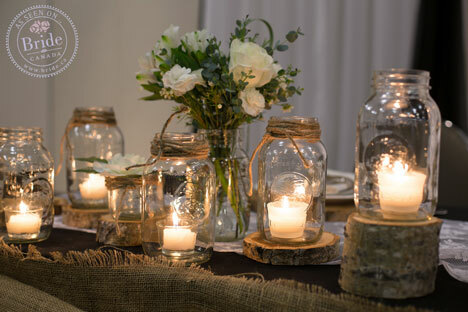 A wonderful wedding fusion of rustic charm and creative elegance... complete with mason jars, burlap and even a few horses! 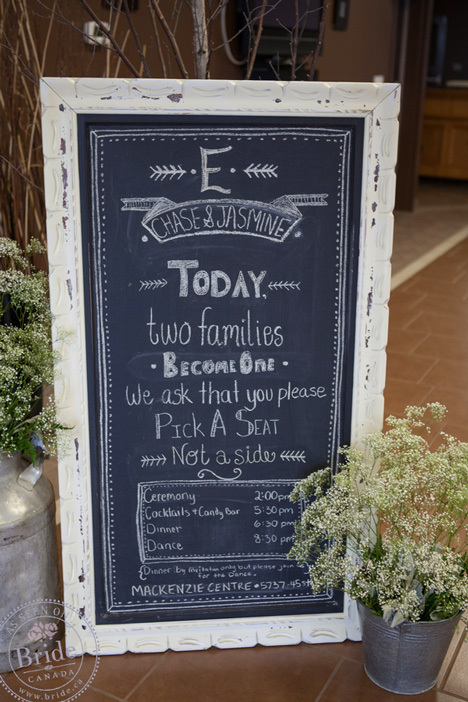 Chase and Jasmine's rustic wedding day took place on a perfect fall day. Yellow leaves blanketed the ground and the air was fresh and crisp. 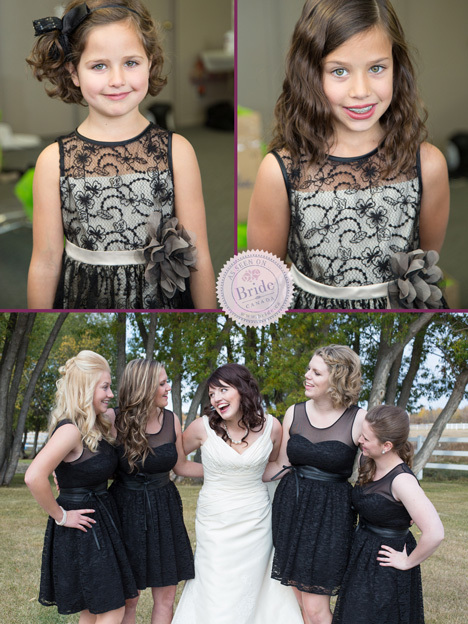 The bride started the day by having her hair styled at Puressence, a trendy local salon. 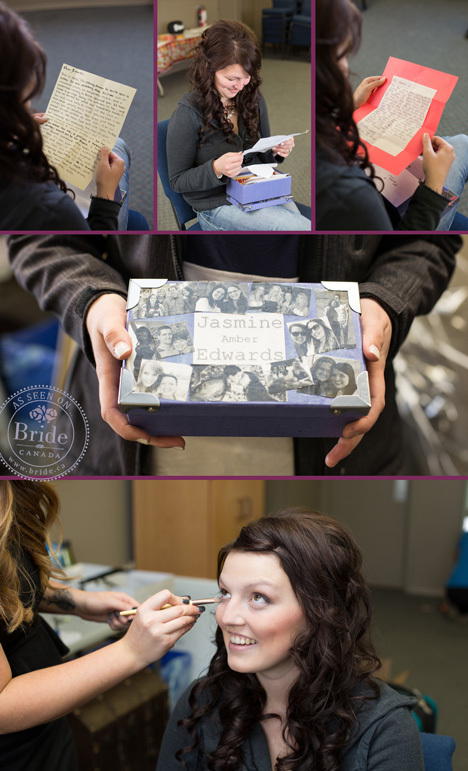 She continued getting ready with her bridesmaids at Life Church, where the ceremony was also being held. Delicate strings of pearls adorned her wrists and neck, and she wore a cream coloured, elegant gown- she looked absolutely breathtaking. The couple was wed in a touching ceremony filled with tears from family members and lots of laughs shared between the bride and groom. Chase and Jasmine work in the Yukon in a mine, and it just so happens that the history channel is making a television series about what they do! A History Channel Film Crew was present to film their wedding day, which was really exciting. After the ceremony, we headed to a beautiful farm to take photos. 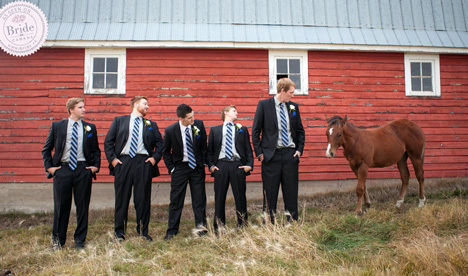 I loved all of the curious horses who wanted to be a part of the photos too! Most of the day was cloudy and we were very fortunate to have the sun peek through the clouds just as it was setting for some golden, glowing light. 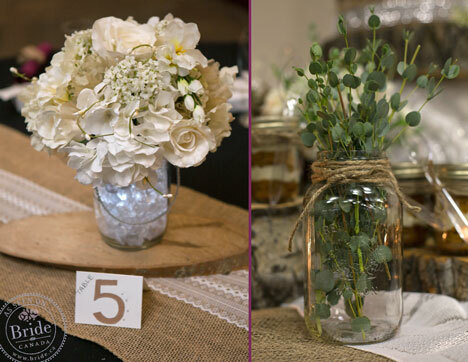 I absolutely adored all of the handmade, rustic decorations for the couple's charming reception held at the MacKenzie Center. The room was filled with candlelight and had a very cozy and inviting atmosphere. 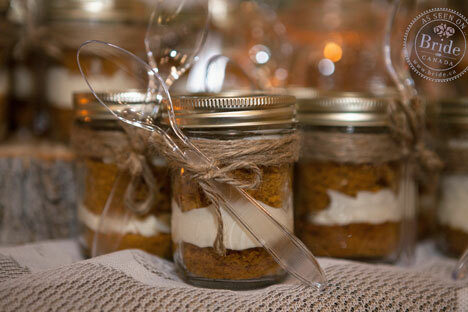 Mason jars embellished with jute glowed from the soft light of candles and tables had beautiful touches of burlap and lace. 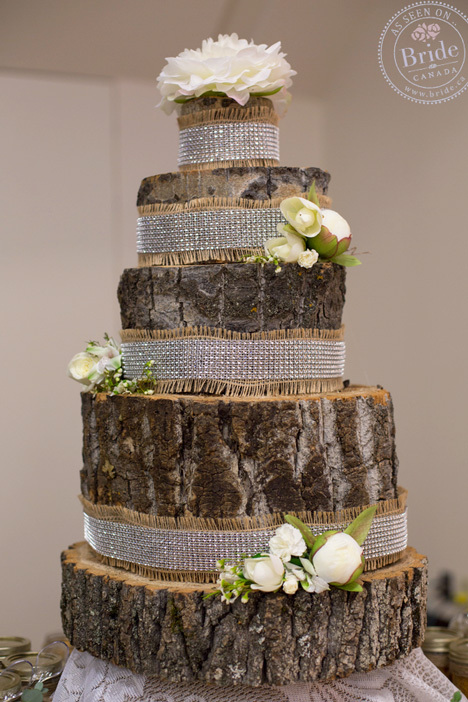 The couple chose to make their wedding cake entirely out of logs, and serve individual layered cake in mason jars for guests as an alternative. I feel so honoured to have been able to capture Jasmine & Chase's special day. Thank you!